Comments: Image was acquired whilst testing new guiding setup using Dual Mount Telescope bar. A near full moon was close by so exposures were kept relatively short. Despite short exposure I was pleased to capture the spiral galaxy ic1296. 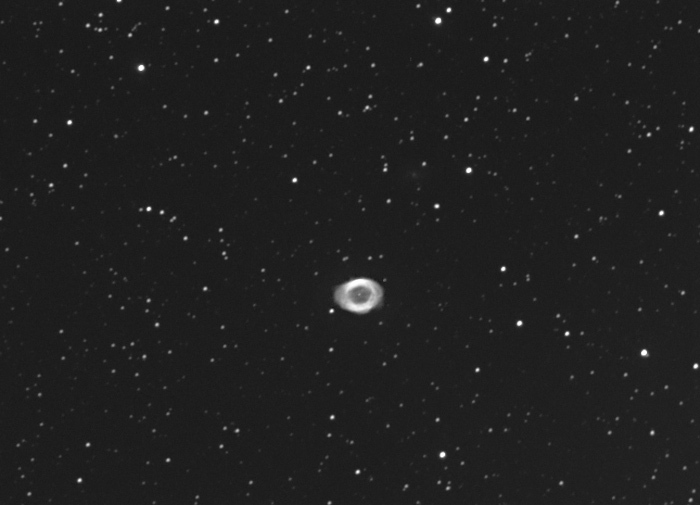 This is located at approximately the 1'oclock position 5cm from m57 in my image above and measures only 1.1 X 0.8 arcsecs and is mag 14.3 I definitely want to try this image again on a darker night and to also capture some RGB.